In religious life, there is almost no more vexing matter than the efficacy of prayer—I mean its efficacy not upon the individual, who will certainly be affected by the intensity of the experience, but upon the world, which is notoriously unmoved by our feelings and our needs; but Rick Perry is not, to put it mildly, a philosophically stimulating occasion, and so I will put aside my reasoned opinion that thousands of sobbing and hungry Texans at the forty-yard line will not alter America. There are other elements of The Response that alienate me. It is, for a start, sectarian, which is to say, Christian. In a pluralistic society, after all, even a majority is a sect. “Our future demands a historic response from the church,” Perry writes. “As a nation, we must come together, call upon Jesus to guide us through unprecedented struggles. ... We want the presence, power, and person of Christ to fill our nation.” Who is we? Surely the fate of America will not be determined without the collaboration of the masses of citizens who are contentedly uninterested in the presence, power, and person of Christ. Perry’s faith is a nasty doctrine of exclusion: in 2006, when he heard Reverend Hagee teach that those who deny “the authority of Christ and his blood” will go “straight to hell with a nonstop ticket,” Perry assented. “I’m a believer of that,” he eloquently testified. In his statement about The Response, Perry adduces a number of historical prooftexts for his proposal. One of them is John Tyler’s declaration, on April 13, 1841, of a national fast after the death of William Henry Harrison: “When a Christian people feel themselves to be overtaken by a great public calamity ... .” I expect that Perry is not familiar with John Tyler’s letter of July 10, 1843—it is one of the most stirring documents of nineteenth-century America—in which he expounds upon his belief that “the United States has adventured upon a great and noble experiment, which is believed to have been hazarded in the absence of all previous precedent—that of total separation of Church and State.” Perry also cites the national day of “solemn humiliation, fasting, and prayer” established by John Adams for May 9, 1798, which in its day was denounced as a political stunt. 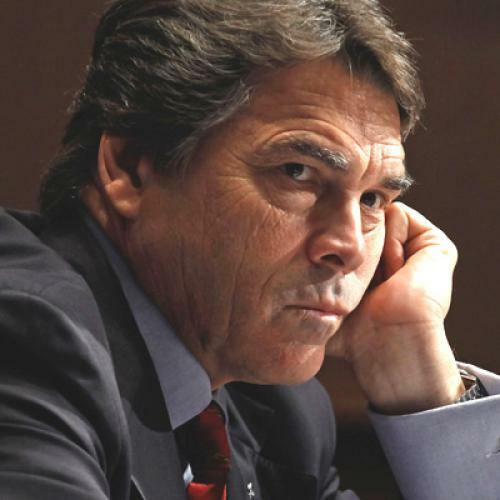 (It is, for that reason, a fine precedent for Perry’s rally.) And he cites a prayer written by George Washington in 1783, which includes the supplication that “Thou wilt incline the hearts of the Citizens to cultivate a spirit of subordination and obedience to Government.” Oops. The most repellent aspect of The Response is its hypocritical notion of repentance. What, precisely, is Perry sorry for? He and his lot hardly believe that they are the cause of the moral decline that they deplore. They wish to rid the country of the sins of other people, of the sins of people unlike themselves. The Response is not an exercise in self-examination. It is an exercise in self-congratulation. If it were anything else, then Perry might have pondered, say, the reverence for the rich and the indifference to the poor, the contemporary Republican project of pushing a camel through the eye of a needle, and been rattled in the manner of the penitent. He might have worried, if only for a moment in the Austin night, that he is himself the cankerworm. Leon Wieseltier is the literary editor of The New Republic. This article originally ran in the August 18, 2011, issue of the magazine.